Mas Kagin Tapani: What Is Conservation Deed? What is a Conservation Deed? It is a product of a community-driven process that results in increased community awareness, education, and training. 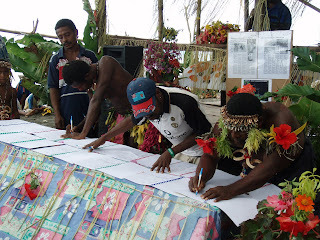 It is a formal legal document from the community that creates a locally managed conservation area and a long-term community stake in the protection of natural resources in ways that also meet the economic and social needs of the community. Robert H. Horwich in A Landowner's Handbook of Relevant Environmental Law in Papua New Guinea states that "The Conservation Deed is a recent innovation which might be considered something like a 'People's Conservation Area. '…[S]ome lawyers feel it may be the strongest kind of legal land protection…"
Our campaigns highlight the root causes of environmental destruction, which often begin with lack of community control over resources and the inequitable distribution of power. We see the plight of these species not only as single species environmental tragedies that need immediate attention, but as a vehicle for shifting the paradigm of how the human species views its relationships with the natural world. Our goal is to guide resource owners through a process to understand this issue and to develop action plans to move forward. 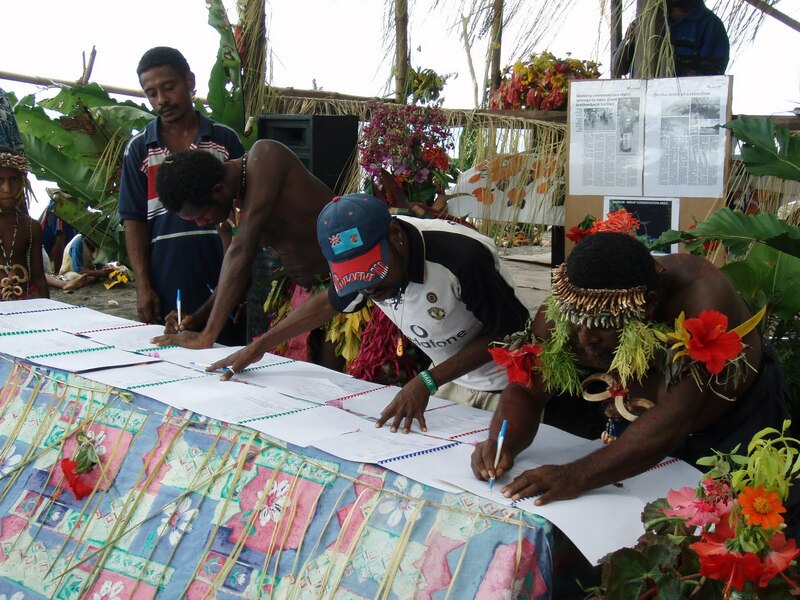 Our efforts in these communities in PNG are laying the groundwork for the longer-term aim of empowering local communities to manage their own resources and be a strong voice for conservation in the region.